Feeding the future a safe and abundant food. A food for both man and wildlife. It is our purpose to teach our fellow man... our fellow Americans to feed themselves; to raise a safe and historically proven food source that our forefathers planted... and to teach our fellow man to become self-sufficient through sustainable agriculture... planting an uncontaminated, heirloom, non-GMO food source. Heirloom corn in the garden. How much production does a food plot need? 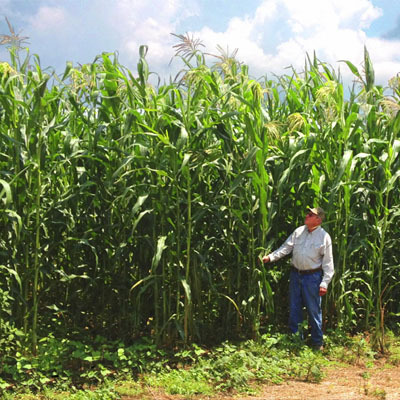 From their farm in the Appalachian foothills in Alabama, Scott and Kathy Railey grow non-GMO, heirloom, crops. 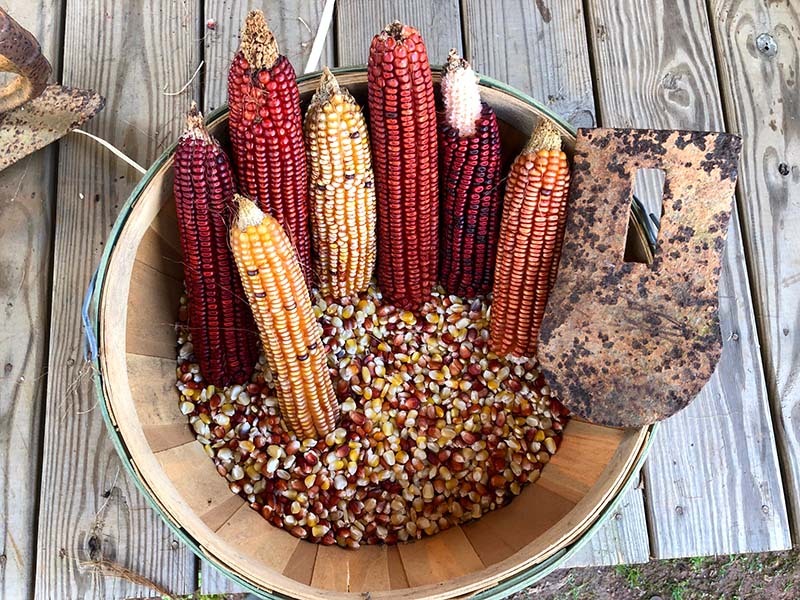 With over three decades of experience in the agricultural chemical and fertilizer business, Scott now grows heirloom corn varieties such as Hastings Prolific and Jimmy Red. Railey Farm & Field hope to educate their fellow Americans about sustainable farming techniques. 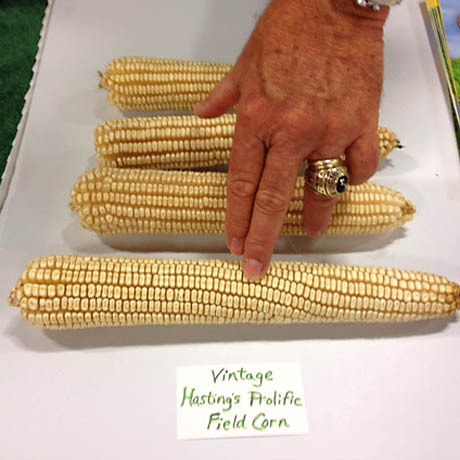 Hastings Prolific is an heirloom, non-GMO corn seed that has not been cross-pollinated with other varieties ensuring the seed has been genetically isolated. 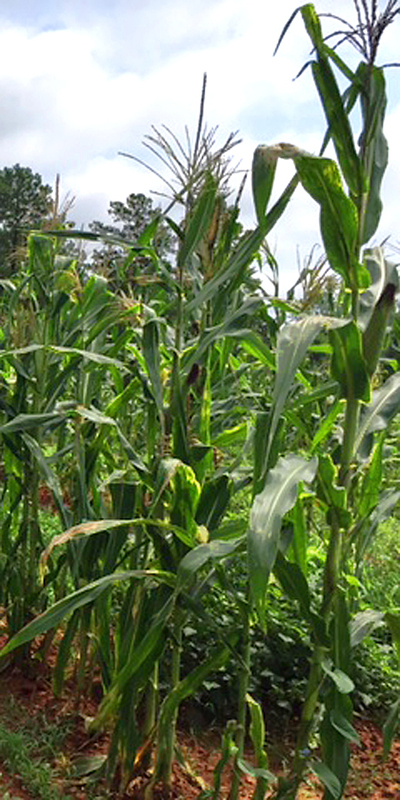 Growing 12 to 16 feet tall, a stalk of Hasting Prolific will yield two ears of corn. With deep roots, Hastings Prolific has survived droughts and will provide your family with a sustainable and hardy food source. At Railey Farm & Field we believe in growing and eating foods that are not genetically modified organisms (non-GMO). Our heirloom seed has never been genetically modified with modern technology. We believe our families are only as healthy as what we eat therefore we believe that a non-GMO food source grown in your garden is the future of American health. 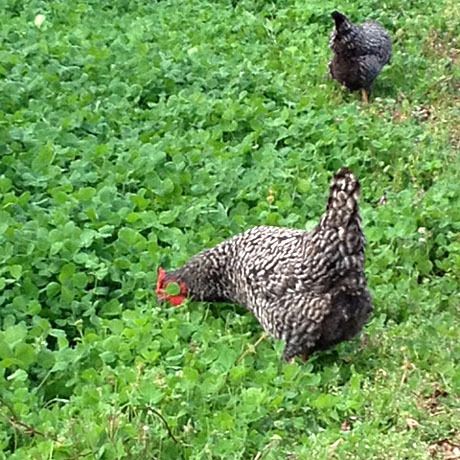 Growing cover crops will enrich the soil of your family garden without using expensive and damaging fertilizers. At Railey Farm & Field we believe that a little knowledge of nitrogen fixation will greatly benefit your family’s garden.